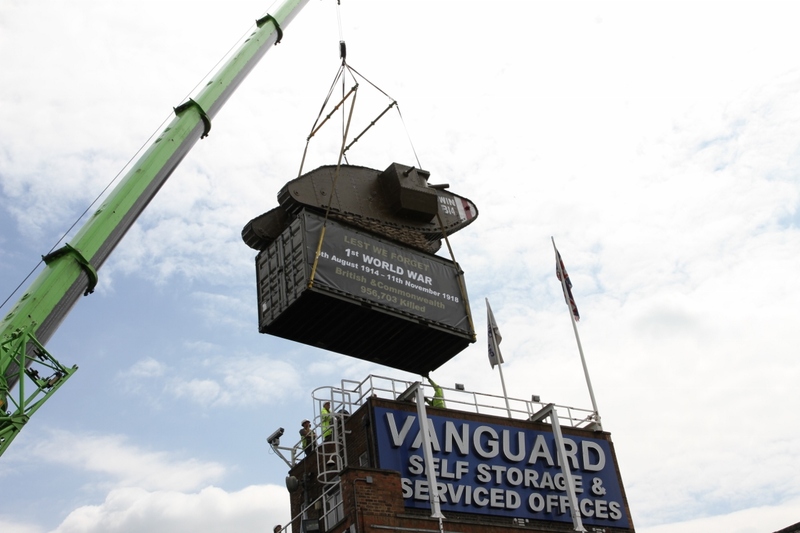 Edwin our Mark IV tank is now on the roof to commemorate the centenary of WW1. We have named the tank Edwin after Mac’s uncle who died at one of the first battles in which they were introduced – Messine Ridge. Here is the tank on its way up.